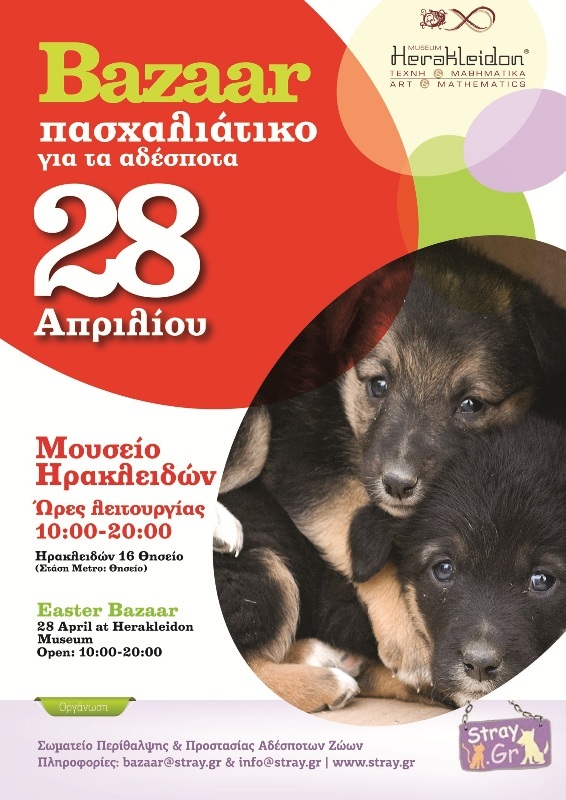 The Association for the Protection and Welfare of Stray Animals Stray.gr is hosting an Easter Bazaar on Sunday April 28th (10:00 – 20:00) at the Herakleidon Museum – 16, Herakleidon Street, Thission (Metro: Thission). Easter is the biggest holiday in Greece, and here’s an opportunity for a truly unique memento of your travels: a special decorated Easter candle … or perhaps a book or two, there’ll also be stray.gr t-shirts and sweatshirts, jewelry and other items for sale – all to benefit the strays of Attica. (Maybe you think its off that I’d suggest a “stray.gr” t-shirt as opposed to one with the Acropolis on it? Basil and I often bring home these types of gifts – my nieces love their Archelon turtle rescue sweatshirts – and they are definitely unique souvenirs! The Organization for the Care and Protection of Stray Animals-Stray.gr is a non-profit organization which aims to provide support to the stray animals in Greece. Since its inception in 2001, Stray.gr has helped more than 2,000 stray animals in the wider area of Attica, without the help of any state support or funding. Stray.gr offers relief and therapy, including vaccinations and neutering, to stray animals, placing priority on animals which are hurt or sick; it then promotes their adoption by suitable families. 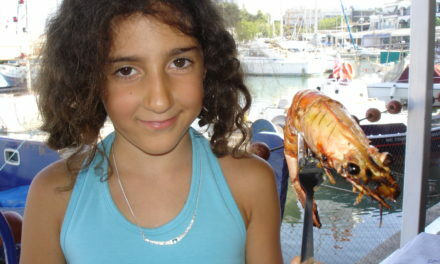 It further offers extensive advice and support to animal lovers in the country.